Alfa Laval wants to highlight World Oceans Day to remind everyone of the major role the oceans have in everyday life. Over three billion people depend on marine and coastal biodiversity for their livelihoods. Marine invasive species are identified as one of the greatest threats to our oceans today, but ballast water treatment is providing a solution to stop them. Invasive species are animals or plants from one region of the world that are introduced into a new area where they become established. They can cause significant damage to local ecosystems, including the extinction of native plants and animals, destruction of biodiversity and permanent alteration of habitats. An example of a marine invasive species is Rhithropanopeus harrisii, a mud crab that has invaded ecosystems all over the world. Its massive spread was enabled by the transport of its larvae in the ballast water tanks of ships. The mud crab has a high tolerance to differing environments, especially during its larval stage, making it able to withstand long journeys in the ballast water tanks. 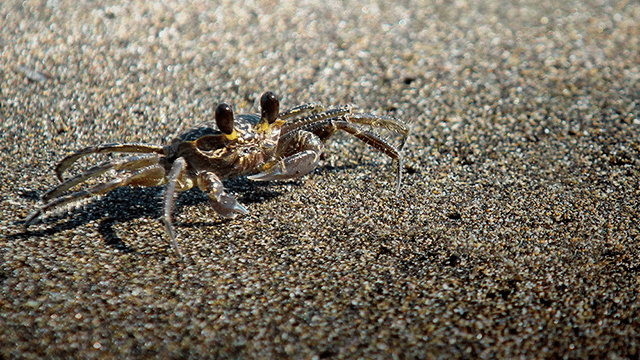 The mud crab has caused vast amounts of ecosystem change, such as replacing native fish by dominating their food sources. It has also led to many economic issues over the years, by creating large fouling issues for local shoreline properties and nuclear power plants. It can even carry traces of a highly contagious virus called white spot baculovirus, which may infect native species. Today ballast water treatment is helping put a stop to marine invasive species. During ballasting and deballasting, when seawater is pumped on or off the ship to maintain its stability, the ballast water treatment system neutralizes any organisms present. This keeps species from one site from being transported and established in another. Alfa Laval PureBallast has led the way in ballast water treatment since 2006, when it became the first commercially available ballast water treatment system. Our technology performs in the most challenging marine conditions and is now in its third generation: Alfa Laval PureBallast 3. Perhaps most importantly, our technology solves one problem without creating another. Because PureBallast uses UV light rather than chemicals, it neutralizes the ballast water without posing safety hazards or creating harmful by-products. Alfa Laval celebrates World Oceans Day, today and every day! World Oceans Day is celebrated on the 8th of June and provides a unique opportunity to honour, help protect and conserve our world’s shared oceans. Oceans cover three-quarters of the Earth’s surface, contain 97% of the Earth’s water and represent 99% of the living space on the planet by volume. Over three billion people depend on marine and coastal biodiversity for their livelihoods. Oceans contain nearly 200,000 identified species, but the actual numbers may lie in the millions. Invasive species are animals or plants from one region of the world that establish themselves in another region where they don’t belong. Marine invasive species can be introduced to a new area via the ballast water of oceangoing ships, intentional or accidental releases of aquaculture species, aquarium specimens or bait, and other means. Invasive species can harm the natural resources in an ecosystem. They are capable of causing extinctions of native plants and animals, destroying biodiversity and permanently altering habitats.